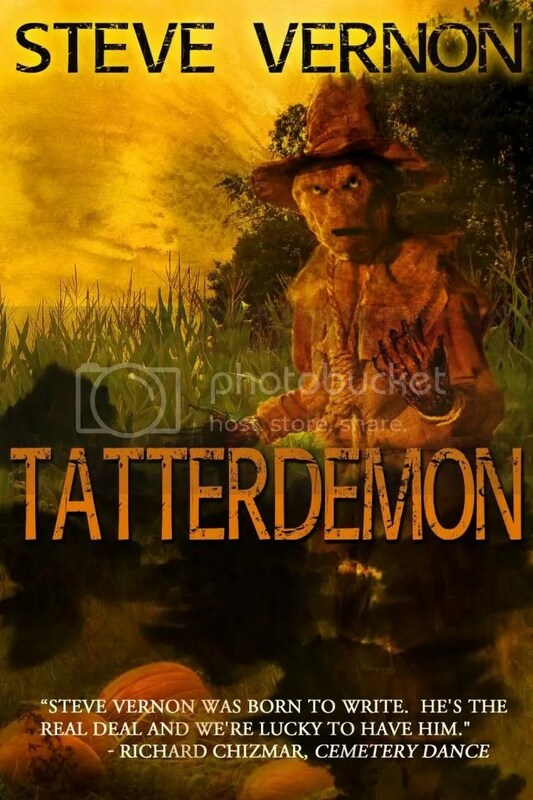 Tatterdemon begins in 1861 as Preacher Fell is locked in mortal combat with a powerful witch Thessaly which leaves both of them dragged down in to the cold earth but not before Thessaly has laid a powerful curse upon the town of Crossfall. Flash forward 300 years where Maddy Harker murders her abusive husband Vic and buries him in the very same field, though you can’t keep a bad man down. The evil lying in the soil is a palpable force of dread which appears to have seeped into the unfortunate souls who inhabit Crossfall. The story is populated by a diverse cast of characters each of whom holds within them sinister twisted desires and secrets. All of the people of Crossfall harbour a skeleton in the closet of indeed a body in the freezer and not one of them appears to be completely sane but this is nothing compared to the madness that follows. Three days later Vic rises again as a terrifying revenant and all hell breaks loose in a delirious maelstrom of slaughter and chaos. The body count rises quickly and the dead walk again as a malevolent and implacable undead army which falls upon the town and carnage ensues. Vernon weaves a wonderfully gripping tale told in his inimitably lyrical style and suffused throughout with a wicked sense of black humor. 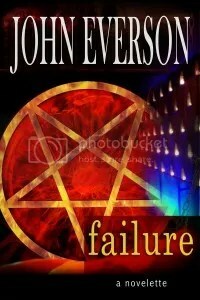 Tatterdemon is told by a master of his craft, the novel progresses rapidly and it is a real page turner which I found difficult to put down. Hold on tight because this is a fabulous dark hayride which leaves you breathless and in wonder at Vernon’s marvellous and mercurial imagination. I highly recommend this novel as it is a terrific barnstorming read that evokes some of the great horror fiction of the 80’s and 90’s. I thought I would ask Steve a few questions about Tatterdemon and what we can expect from him in the future. DARK MARK: Tatterdemon boasts a wonderful and diverse cast of characters are any of them based upon people you know? STEVE VERNON: Now there’s a question. The truth of it is that EVERY character in every one of my stories and novellas and novels are generally a compilation of people who I either met or know or heard about – or even watched in a movie or read about. 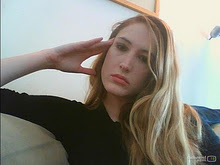 For the main character, Maddy Harker, I chose to model her after one of the toughest women I know – my wife. Earl Toad was a combination of a pair of uncles of mine who were two of the toughest shortest men I ever met. Wilfred has a strong streak of Matt Dillon – from Gunsmoke – in him, that is, if Matt Dillon had ever decided to put Miss Kitty “on ice”. DM: I’ve noticed a delightfully dark sense of humor pervades much of your work. Does this occur naturally in your writing process? SV: Funny just naturally goes along with scary. How many times in a horror movie has that dude in the hockey mask jumped out of the shadows and you browned your skivvies just a little and maybe even went eek or oh-my-god or just a heartfelt “HUH!! !” – and then right afterwards you sort of giggled and let your breath slide on out. Part of that was most likely you trying to manfully cover up your inadvertent display of the chicken-shitters – but the bigger part of it was a whole lot more basic than that. Every scream starts with the seed of a giggle. It’s like sunshine and shadow – you need one to find the other. DM: The characters in this novel are I think defined by their secrets. Are there any skeletons in your closet or bodies in the freezer? SV: We ALL have secrets. DM: Which writers do you admire and take inspiration from? SV: I’m inspired by the work of Joe Lansdale, Stephen Hunter, Robert Parker, Stephen King and Norman Partridge – for starters. I’m always looking for a good storyteller – somebody who can spin a yarn that is so very compelling that you feel you have no choice except to pull up a rock to the campfire and give that story a long, hard listen. A book – for me – is just that. It’s a story. When I sit down at my keyboard I don’t see a screen in front of me. I see a campfire – and people waiting to be entertained. The yarn-spinner inside my soul takes over from there. The fact is – I read an awful lot of books. Fact is, if you claim to be a writer you NEED to be a diehard seriously addicted devourer-of-words. I’m a book junkie – I can’t walk into a bookstore without buying SOMETHING! DM: What can readers expect next from Steve Vernon? SV: Something different, I expect. If you’re looking for a couple of suggestions I would DEFINITELY recommend picking up a copy of SUDDEN DEATH OVERTIME – a tale of hockey and vampires. Fans of the weird west genre might want to pick up a copy of LONG HORN, BIG SHAGGY: A TALE OF WILD WEST TERROR AND REANIMATED BUFFALO. If you want something more along the lines of end-of-the-world sci-fi, you might want to grab the first episode of my continuing series FLASH VIRUS. It’s the story of the end of the world as told by a teenager – and you can pick up Episode One for free on Kobo or Kindle. I’m currently working on a young adult novel involving the Cape Breton Bigfoot, Coyote, the ghost of Sam Steele, a Spirit Bear, the Great Lakes Sleeping Giant and the great trickster Raven. To follow Steve Vernon check out his blog YOURS IN STORYTELLING… or friend him on Facebook. Savage Species, the forthcoming novel by Jonathan Janz (The Sorrows, House of Skin) is a thrilling serialization in five parts. The opening of the Peaceful Valley Nature Preserve unleashes a terrifyingly rapacious evil that has lain dormant for over a century. The story has two branches one of which follows a group of young cub reporters dispatched to cover the grand opening of the park, who find themselves in the thick of the carnage that ensues, and the other which deals with a dysfunctional family whose child has been abducted by one of the titular creatures. Having been privileged to read the first three parts, I can happily report that Janz has prepared a brutally ferocious banquet which opens with such a welter of savage violence that those with an appetite for bloody, shrieking terror will find it hard to wait for the next course. As the story progresses the tension and terror mounts and we are treated to a nail biting struggle for survival against a legion of seemingly implacable foes. There are a number of nasty surprises awaiting the hapless protagonists who have to increasingly draw upon their own untapped reservoirs of courage and ferocity in order to survive the relentless terror. As with House of Skin one of the great strengths of the novel is the attention Janz lavishes upon his characters, it is something which grounds the story as the reader is thrust into a maelstrom of fantastic and dreadful, slavering terror. This is hard, biting horror which grips from the get go and will leave you trembling in anticipation for the next enthrallment. With publication imminent I thought I would ask Jonathan a few questions about his novel and what we can expect from him in the future. DARK MARK: I think the eBook format lends itself well to serialization, what prompted Samhain to publish this as their first serialization? JONATHAN JANZ: I couldn’t agree more, Mark. I think the eBook format is ideally suited to the serial for several reasons, not the least of which is the speed with which new installments can be acquired. As far as Samhain and its decision to publish SAVAGE SPECIES as its first serialization, I think that has to do the collaborative relationship between the higher-ups at Samhain (including Don D’Auria, my wonderful editor) and my agent Louise Fury. Of course Louise works with several different publishers and editors, but she has a great relationship with the folks at Samhain. Louise posed the idea of a serialized horror novel, and Don (and the rest of the decision-makers) loved it. They then approached me and asked if I had anything in progress that would lend itself well to the serial format. It happened that I was working on a novel then titled NATIVE that was quite different than the other novels I’d written. Previously, I’d worked with ghosts, demons, and other otherworldly villains, but in NATIVE I was working with something a bit different. There were supernatural aspects to the villains, but they were certainly more tangible than ghosts or demons. Anyway, I felt the story was perfectly suited to the serial format. It was fast-moving, wild, and full of twists and turns. I’d written about sixty percent of it already, but even the stuff I’d written without thinking about serialization was ideal for the serial format. I told Louise and Don that the book I was writing would be perfect for serialization, and when they heard about it, they agreed. Then I completed the novel with serialization in mind. The five-act structure ended up working, in large part due to the gut punches and hooks that occurred near the beginnings and ends of those five acts. Eventually, the title changed to SAVAGE SPECIES (thankfully, and with the help of honest opinions from Don and Louise), and I couldn’t be happier with the way everything turned out. DM: The creatures in the novel appear to have stalked from native American mythology, how much of them is based upon the legends of the Algonquian peoples? JJ: Mythology is fascinating. In preparing for SAVAGE SPECIES, I read voraciously of Native American mythology (especially Algonquian and Iroquois legends), as well as a great many other stories (most notably Algernon Blackwood’s “The Wendigo”). And while I owe a huge debt to those sources, what I tried to do—what I always try to do—is to take the existing myths in new and unexpected directions. The Wendigo is one of the scariest and most mysterious legends, which made it great fun to explore. The taboo of cannibalism plays a large role in many of the Wendigo myths, so I wanted to explore that concept too. Not everyone would agree with this, but there are aspects of the Wendigo myth that relate to some of the best-known subgenres of horror, particularly the zombie tale. So while I definitely and consciously utilized the Native American myths to which you’re referring, I also tried to add some new or different ideas to the existing mythology. At the heart of the Wendigo myth, I think, is the fear of the known becoming the unknown, the fear that there’s something malevolent out there, and even worse, the possibility that it could carry away and change someone you know. The Algonquians and others explored those ideas long before I did, and I learned a great deal from them during my research. DM: I find your characters to be very well fleshed out and believable, how important do you think this is to a work of fantastic horror fiction? JJ: Thank you! I can’t tell you how much that means. If you ask me what matters in a story, I’d give you the generic answer: “Everything.” But if you put a gun to my head and tell me to pick one facet of a story that absolutely must work, I’ll say characterization. And as you sort of alluded to in your question, it’s as important and perhaps even more important for the characterization to be strong in a horror story. We’ve all heard the phrase “suspension of disbelief.” For readers to suspend disbelief for a horror novel, the characters have to not only be interesting and unique—they also have to ring true. When faced with the inexplicable, how would a person react? If the writer has done his job prior to that point, his protagonist’s reaction will not only ring true to the audience, it will essentially write itself. Joe R. Lansdale talked about this recently, and I couldn’t agree with it more: a writer doesn’t have to carry around a handy-dandy bag of mix-and-match character traits in order to make a character interesting. You know, throw in a physical abnormality here, toss in a childhood trauma there. Maybe give the guy an exotic pet and a bizarre hobby—collecting discarded bottle caps and fashioning them into a pornographic mosaic perhaps. These aren’t Joe R’s words, but I think they speak to his point. Characters must grow naturally. For me, it’s a matter of feel, experience, and most of all, my subconscious. Mark, you and Meli and I have spoken about Frank Red Elk, one of the main supporting characters in SAVAGE SPECIES. He’s a great example of what I’m talking about. Most of Frank’s personality sprang forth from my subconscious in several powerful bursts of creativity. He existed as a shade in my mind already; I just had to coax him onto the page. Frank was also forged by experience—and no, not my own experience! I had an acquaintance in college who was a lot like Frank. Essentially likeable, but wildly inappropriate and incapable of wearing a social mask. This acquaintance found the female form mesmerizing, and he spoke freely about it (often embarrassing everyone around him). Another element that contributed to Frank Red Elk was my own experience with films and books that feature Native American characters. In many stories it’s like writers are too busy venerating their Native American characters to remember that these characters are still men and women with flaws and feelings and everything else that real humans have. To me, treating any character with kid gloves is an unintentional disservice. I detest caricatures—here I’m talking more about old television and film—and I hope my characters never fall into that trap. So with Frank Red Elk, I wanted to stay true to what was in my head. He was big, he was blunt, and he was incredibly profane. He had some atypical character traits, but they grew naturally instead of being plucked from a grab bag. I’m proud of him and hope readers enjoy him too. DM: The novel features monsters with terrifying and rapacious appetites. Do you worry that they may prove too much for some of your readers? JJ: Ha! The Frank Red Elk stuff was a good bridge to this question, huh? Anyway, you make a good point about the extreme nature of the beasts in SAVAGE SPECIES. They’re powerful, sadistic, and vile. Like my other characters, they developed naturally from my subconscious, though I’ve no doubt that my reading and viewing influenced them too (specifically Richard Laymon’s BEAST HOUSE books, Tolkein’s THE LORD OF THE RINGS mythos, and the creatures from the film THE DESCENT). But your question is a good one, and one that readers should consider before taking on SAVAGE SPECIES. If a reader is squeamish and doesn’t want a book with graphic violence and depravity in it, this is a book that reader should avoid. In some ways it’s my most extreme book. However, there isn’t a single word in the book intended for shock value or meant to elicit gratuitously cheap thrills. This is the story exhumed from my imagination, and I think it’s a heck of a yarn. I love the positive characters and loathe the malevolent ones. I think the real world contains people who, like Charly (my female lead) and Sam (one of my male leads), act from the heart and do their best to live with integrity and love. There are others who, like Eric (Charly’s husband), behave like monsters, whose minds are cesspools of cruelty, perversion, and selfishness. I write the truth of these characters and all the characters in between. If folks are turned off by events that occur in SAVAGE SPECIES, I just thank them for reading my work. If folks are entertained by it, well, that’s even better. But if a reader is searching for a good, cozy Amish romance, he or she might be best served by giving this one a miss. DM: What can readers expect in the future from Jonathan Janz? JJ: My first five novels are all original, unrelated (or barely related) stories: THE SORROWS, HOUSE OF SKIN, THE DARKEST LULLABY, SAVAGE SPECIES, and DUST DEVILS. After DUST DEVILS is released in February of 2014, readers will see me begin to sprinkle in some sequels along with additional original works. DUST DEVILS is a vampire western, and it’s a story dear to my heart. It’s the first story I’ve told from a single point-of-view, which alone makes it different. It’s also set in 1885 New Mexico and very much a western. And while I’m excited about those aspects of the tale, folks should know it’s also a horror story featuring vampires that are both intelligent and endlessly vicious, a combination that makes for an exceedingly scary tale. After that one, the summer of 2014 will see the release of my first-ever sequel, CASTLE OF SORROWS. In it I’ll return to the mythos of my debut novel THE SORROWS and pick up that story where it left off. I’ve begun work on it and should have it done by the end of September. Some other projects I’m planning include a horror/revenge tale set in the 1930s, a young adult novel about aliens that’s about a third of the way done, an unannounced trilogy of novels I’ve been talking to my agent about, sequels to HOUSE OF SKIN and SAVAGE SPECIES, and an incredibly violent crime thriller (titled GARDEN OF SNAKES) that I finished and trunked but am strongly considering resurrecting and re-working. The first part of Savage Species will be unleashed in eBook format by Samhain Publishing on June 4 with further installments released fortnightly. 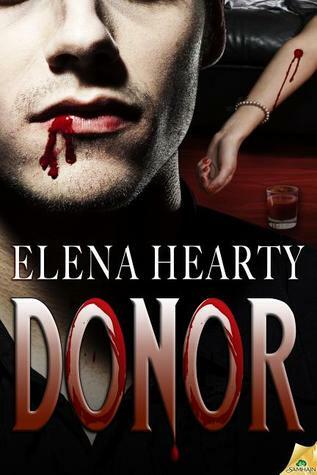 Jonathan Janz had a much different road leading to his first published book, The Sorrows, than his fellow Samhain novelist Elena Hearty, author of Donor. While Hearty just needed to get the voices from her head to print, Janz dedicated himself to perfecting his craft for more than a decade. Luckily for Janz, all his hard work has paid off in his first published novel and the promise of a darkly horrific future at Samhain. I ask Janz about his influences, his favorite authors, the arduous path to publication and his next projects beyond the break. Enjoy!